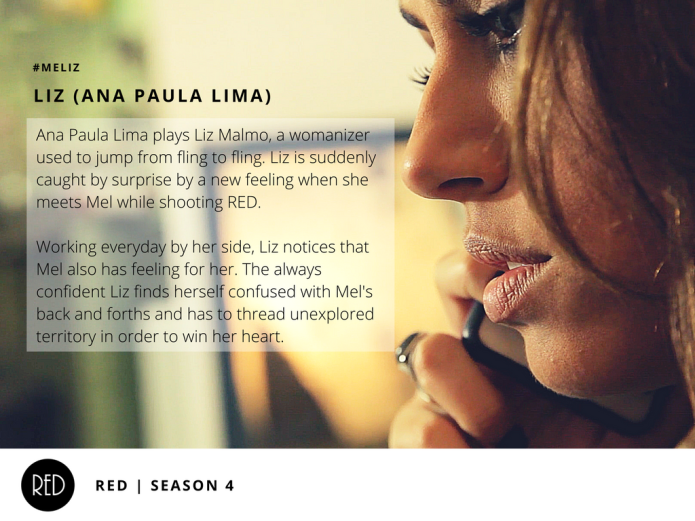 The fourth season of RED the webseries continues to explore the passionate relationship of Liz and Mel. 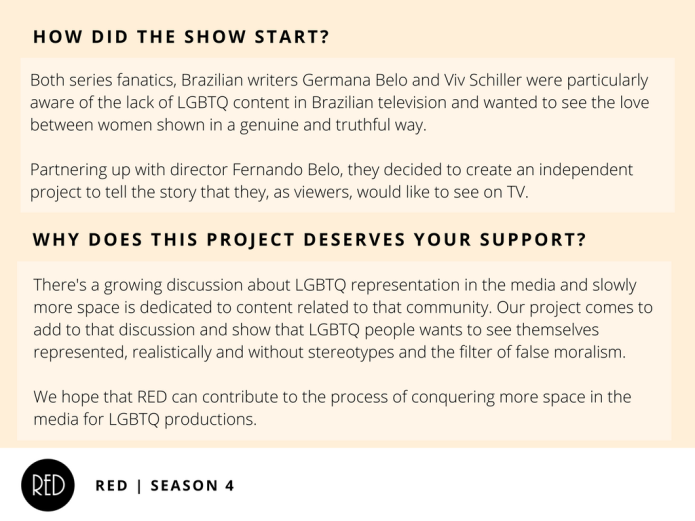 Both series fanatics, Brazilian writers Germana Belo and and Viv Schiller were particularly aware of the lack of LGBTQ content in Brazilian television and wanted to create an independent project o tell the story that they, as viewers, would like to see on TV. 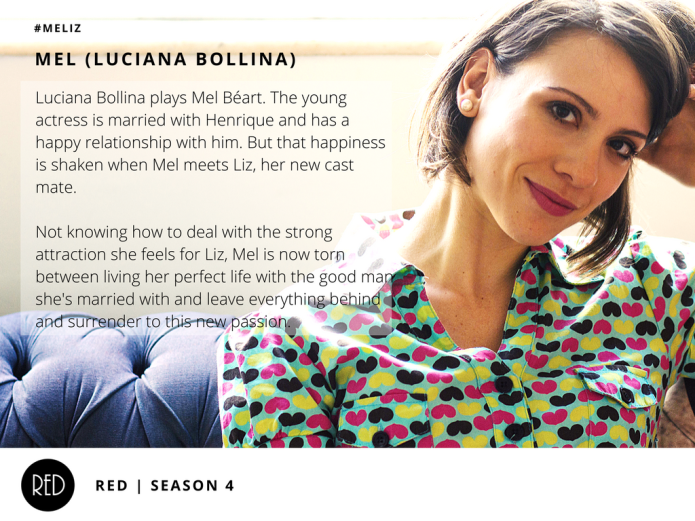 Liz and Mel are portrayed by Ana Paula Lima and Luciana Bollina. 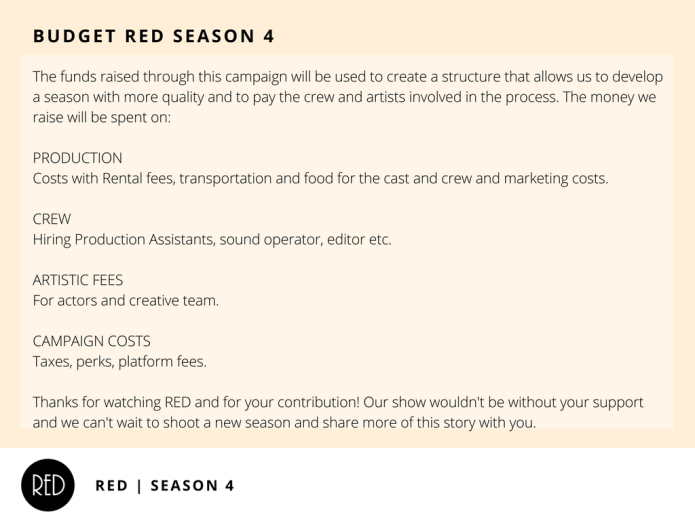 Note: As always, all episodes of the last season will be released for free every Tuesday on RED vimeo channel. 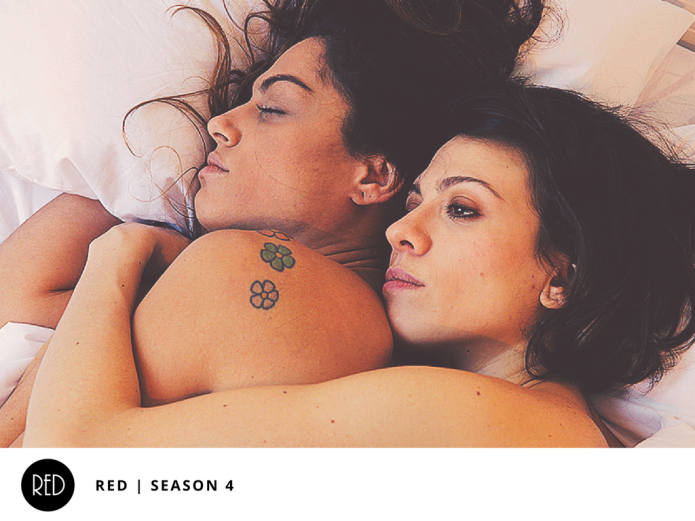 Clic on “CC” for subtitles.